I won! I won! I won Mousetrapped! If you have been reading my blog for a while, then you know that I am a big fan of her blog Catherine, Caffeinated and her book Self-Printed for their spot-on, humorously delivered and accurate advice on self-publishing. 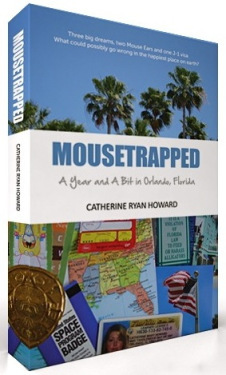 She is like the Tony Robbins of Self-Publishing to me, so I’m actually really excited to be receiving an autograph copy of “Mousetrapped,” a book about her travels to Florida. So I was going to blog about all the troubles I am having with editing, but fortunately, I have something more fun to blog about. So yay! I’ll just have to post about the difficulties of editing on a tight budget later. ~ by Sumiko Saulson on April 8, 2013.